Remembering back to 9/11 I now realise I suffered from mild trauma back then because it was hard to get the images out of my head from watching it over and over again on TV. I also felt a mild numbness and lack of interest in day to day activities which until reading this I didn’t even realise what that feeling was. It took a few weeks for me to get back to some normality. That’s one of the tricky things about trauma. It can be difficult to know where the reactions and impacts are coming from, or even to connect them to stress or trauma in the first place! It sounds like reading this information set up a few lightbulbs and has connected some dots for you. I’m sure many people had a similar reaction from watching the repeated coverage of it on TV. Reblogged this on Chris Adrien. I’m interested at the moment in learning more about PTSD and military personnel. I’m an ex army medic and witnessed trauma but I didn’t experience combat nor was I a first responder. I will be volunteering with disabled veterans soon who will be suffering with PTSD. Although I’m studying neuroscience there isn’t really any content that covers therapy or such things. 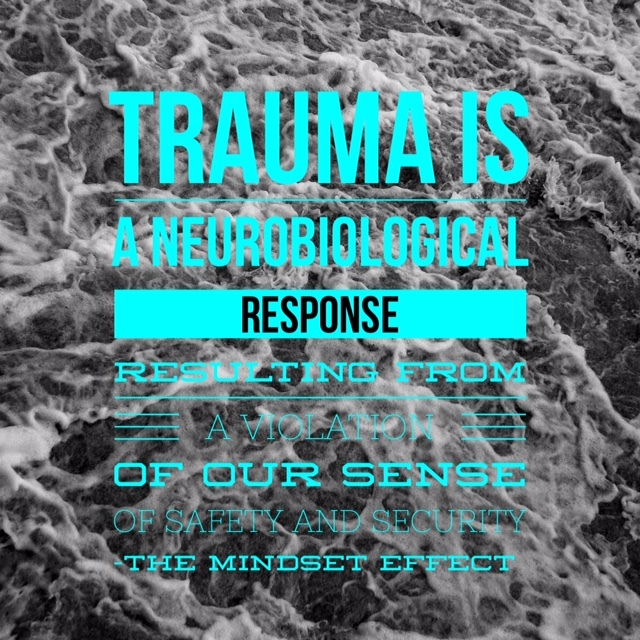 One of the things I love about neuroscience is how it can explain and inform us about why we have our behaviours following events such as trauma. Unfortunately the one thing it can’t do is provide treatment. However, it does inform treatment. If you think about the neuroscience of the stress response (fight/flight), you’ll know that it is about feeling threatened and unsafe. So the biggest thing we need to do with treatment is to help people to regain that sense of safety. This will include a lot of down-regulating the stress response (which, if the person is highly activated, will include taking them through some guided down-regulation activities). Many people will be fearful of talking as they will likely feel like they will never be rid of those experiences. I think the biggest thing you can do for them is to simply listen and allow them to lead you where they feel they need to be. Sometimes that will be in talking about their experiences and at other times it will be about doing something completely opposite so they can remove themselves and get a break from them. Hope that makes sense. As a volunteer I would imagine you won’t necessarily be doing therapeutic interventions? If that’s the case, simply allowing them to be who they are and moving at their pace is probably going to be the way to go. The relationship and trust that they have with you will be important. Yes, I certainly won’t be the one making interventions. I believe a general knowledge of therapy can also lead to better understanding during conversations. I also think it would be important to just know what red flags there are for someone that isn’t directly involved in the clinical side. You’re welcome Chris. I hope the link I shared was helpful. Google is very helpful in finding things like that. Triggers can be different for everyone so it’s helpful to really get to know the people you work with. Sometimes it’s trial and error.